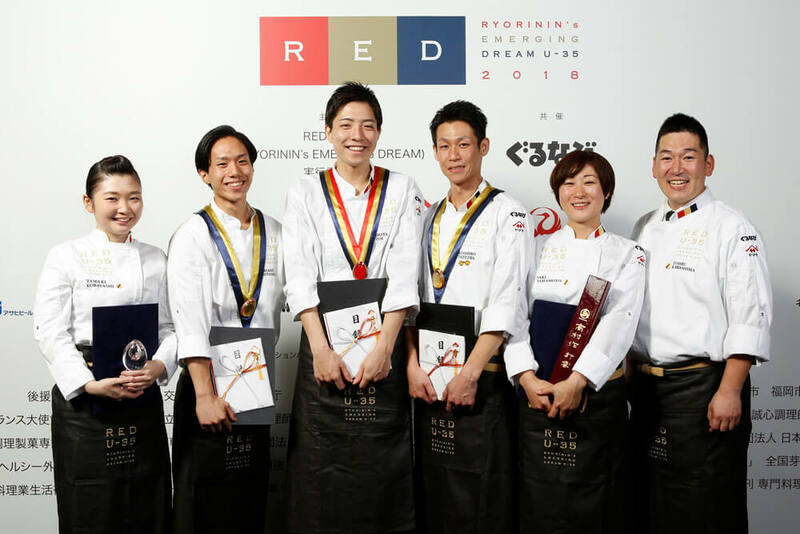 ≪RED U-35(RYORININ’s EMERGING DREAM)≫ is a competition in Japan where a lot of young talented chefs (under 35) join to compete every year. The 6th contest of this year, the largest number of participants in the past, 567 chefs has been competed for a half of year. After three rigorous judgements, the winner has been finally announced on 4th, November 2018. What’s the [RED U-35] ? For finding young generation chefs who have new sense of value, dream and ambition, [RED U-35] has been held with the whole Japanese food industry. It is their wish that chefs who will be responsible for the future will be inspired, embrace a big goal and put a value on the cooking industry in the future.